There are so many ways to change your style or jazz up any look. One sure way to do this is by incorporating the right jewelry to your outfit. At One Style at a Time, we like to always provide our readers with valuable information about products and brands we love and that strike the right fashion note. 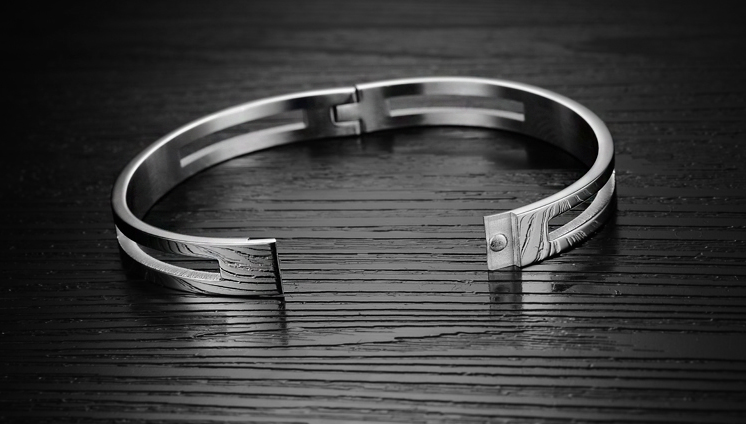 Today we bring you a product review for the Madison bangle bracelet by Robert Matthew. If the brand name rings a bell then you are right fashionista because we previously did a product review for their Scarlett handbag (valued at $199 and I can happily report, the bag continues to hold up quite well after much use). When Robert Matthew sent over the Madison bracelet I couldn’t wait to see how it looked in person in comparison to the online photo. If you enjoy jewelry that is polished, elegant and lightweight, then you’re in for a treat. The bonus is it only retails for $75 and comes in a lovely velvet pouch inside of a gift box. With a simplistic design, it’s perfect to wear alone or layered with other bangles. 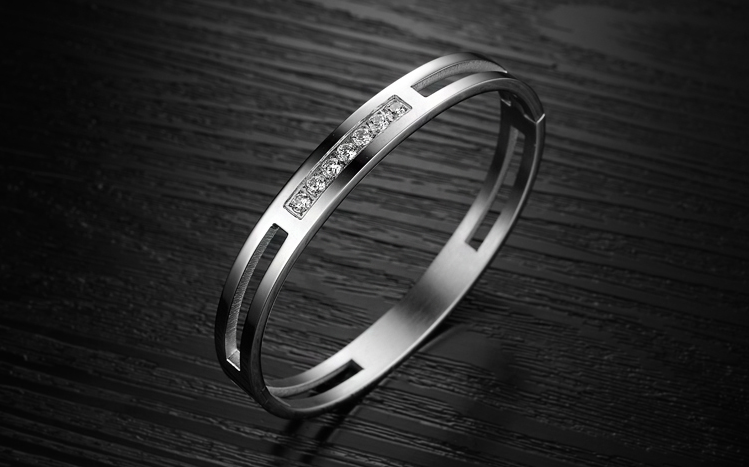 Its silver plated (also available in rose gold) and includes seven round cubic zirconia stones for a touch of extra glam. It’s 6mm in width and 17cm in length with a secure hinge fastening which I found very simple to open or close all on your own. The only notable concern was the circumference size of the bracelet if you happen to have a large wrist, this 6mm size might be too small. Overall this bangle bracelet makes a great gift. You can’t go wrong with Robert Matthew’s accessories. From its high quality, style and functionality, it’s a guaranteed compliment magnet! Head on over to www.robertmatthew.com for much more. One Style at a Time Review: An elegant, polished bracelet that makes a great addition to any jewelry collection. One Style at a Time product score: Out of five style hearts we give Robert Matthew’s Madison bracelet 4 fashion golden stars. Disclaimer: I received the Madison bangle bracelet for the purpose of this review. All thoughts are my own.